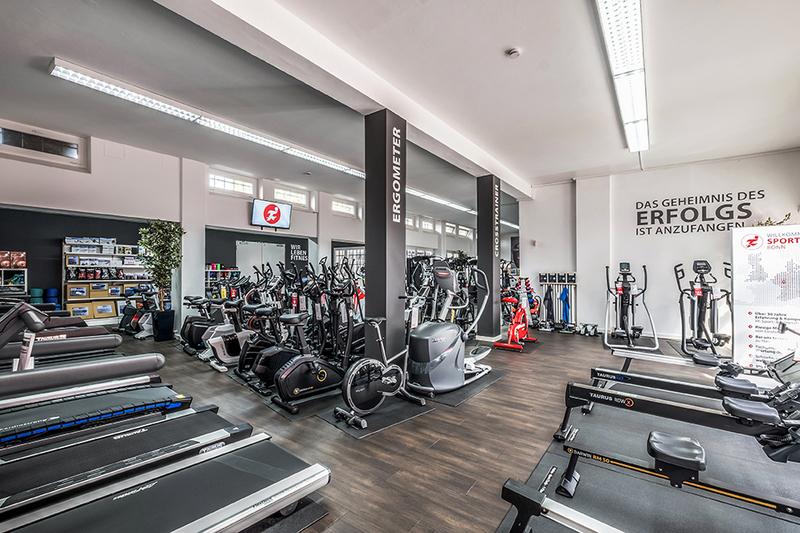 Bezoek onze fitness speciaalzaak met een showroom van 375m². 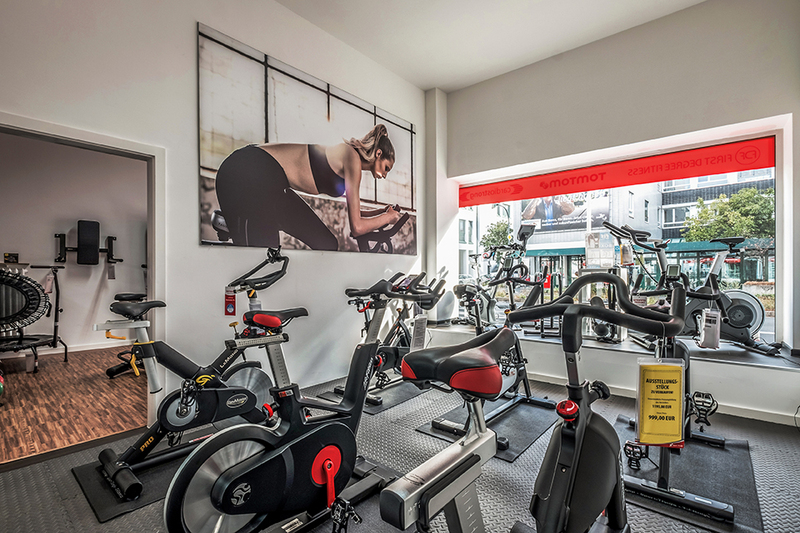 User-friendly fitness equipment of renowned brands and the latest fitness trends – that's what Sport-Tiedje offers you on 375 square metres in the Sandkaule 13 in Bonn. 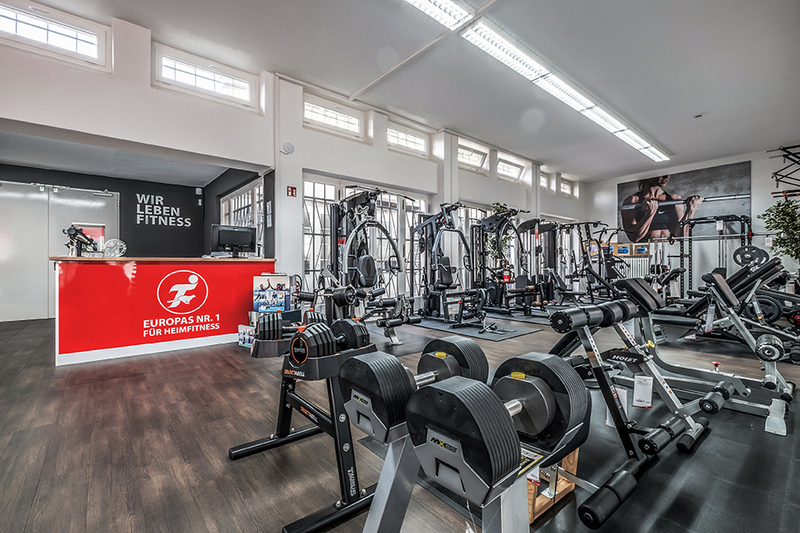 Being Europe's leading specialist fitness store for home fitness equipment, we are your contact person with respect to an effective strength and cardio training at home. Find treadmills, eliptical cross trainers, exercise bikes, indoor cycles, and rowing machines as well as multi-gyms and weight benches of every price category in our range of products. Small equipment like weights, fascia rollers, and pulse monitors complete the offer. We are happy to recommend you the appropriate accessory so you can make your fitness training even more effective. Get yourself in shape for the next Bonn marathon - i. e., with a high-quality treadmill of Sport-Tiedje. Test your fitness equipment in detail in Bonn! A special service, we offer you, is to test the fitness machine of your choice before purchasing it at our store and to get a detailed explanation of all functions. You get a completely good feeling doing your purchase of fitness equipment. Because we want you to find the appropriate fitness machine for your sporty targets and that you will have a great fun for a long time doing your fitness training. Our sports-enthusiastic staff is available for you for all aspects of the purchase of fitness equipment – from advice to delivery and assembly of your fitness machine. Visit our store in Bonn and take the opportunity to get a detailed and competent advice. Those who want to buy a fitness equipment for the use at home in Bonn, have good reasons: Home fitness is not only comfortable but also completely independent of weather and opening hours of a fitness gym. In addition, many fitness machines are equipped with several user memories and are individually adjustable, so that the whole family can do its training with the machine. However, the most important part is the healthy aspect: Doing home fitness, you make your everyday life more sporty and more active and you strengthen your cardiovascular system with a lasting effect. 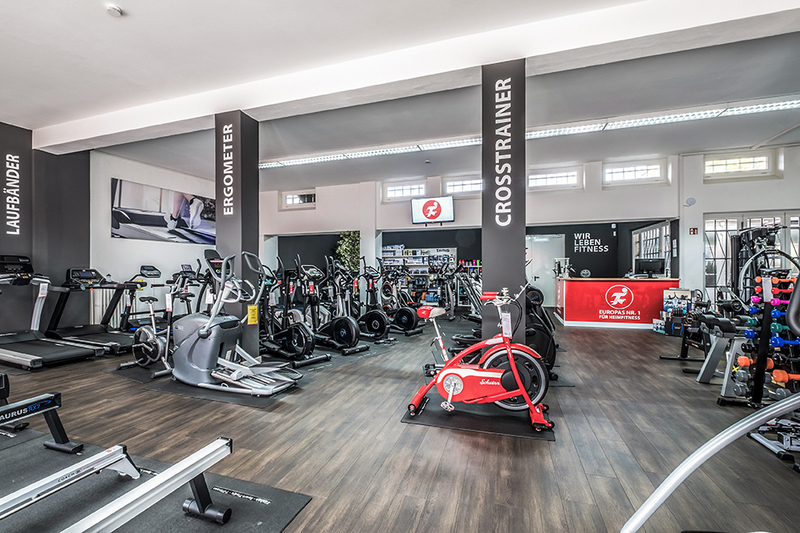 Either beginner, leisure or professional sportsman: You find the appropriate equipment for every fitness level at Sport-Tiedje in Bonn.